Wooden beams can be the perfect element for decorating certain rooms and giving warmth to the house. They can play in your favor while decorating or covering ceiling imperfections. In modern constructions, it is difficult to find wooden beams, probably because of the architectural structure of the houses. Also, beams are usually dispensed because they are not practical or economical. However, it is customary to add decorative wooden beams in some spaces. If these proposals are unknown to you and you associate wood beams with old country houses, then you must know that they are found various finishes. Therefore, you must not relate them only to rustic or rural style buildings. As for the cost of this material you do not have to worry. Innovation has made it possible to acquire different designs without having to spend large sums of money. You can also opt for polyurethane beams, which are very easy to install. 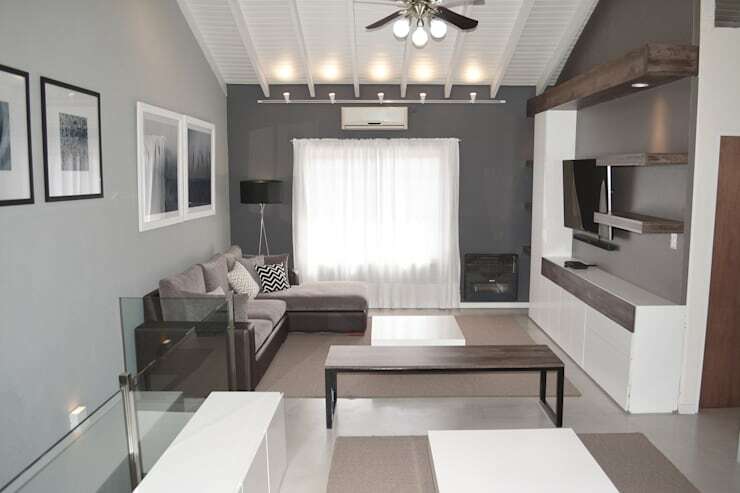 If you are wondering about how to paint beams on the ceiling then you must read this ideabook. 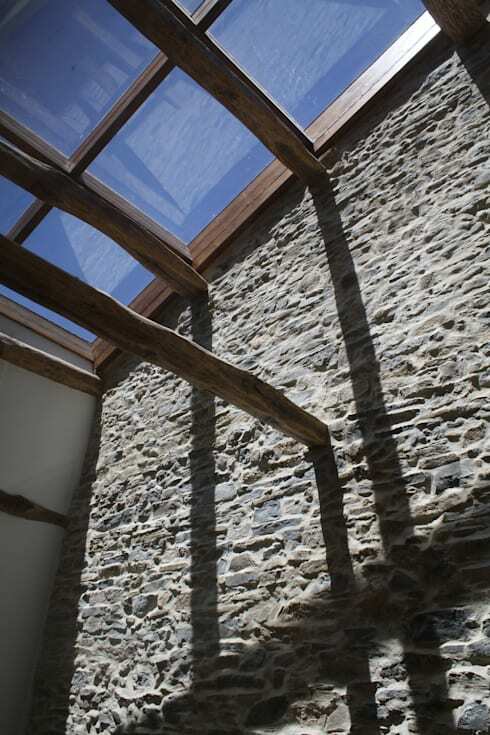 In this farmhouse reforming project, you can see that the designer has opted for a combination of different styles. The aim was to achieve a relaxed atmosphere which can adapt to new things. 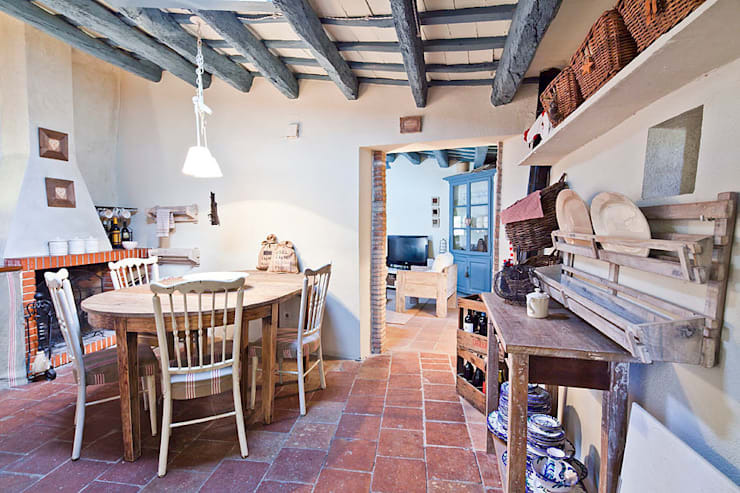 In this image, the old wooden beams retain all their charm as a unique aspect of the kitchen. It is formed by modern and minimalist style furniture that creates a lovely result. Accustomed to the traditional ceilings with wooden beams, this design in indigo blue and white has conquered many hearts. It is an original idea that seeks to bring a different touch to a house of rustic design. However, the truth is that rustic decorations always share some elements in common. If your place has wooden beams, then look forward to innovating it by trying different colour combinations. It will give a new image to your home. Although within a rustic style, this vacation home has tried to modernize its design. One of the most notable aspects is the wooden beams sitting next to the roof. It has a worn-out finish that brings a casual and more modern touch. Therefore, the desired result is achieved and also perfectly meets the objective. A rustic does not have to be linked with an old building. 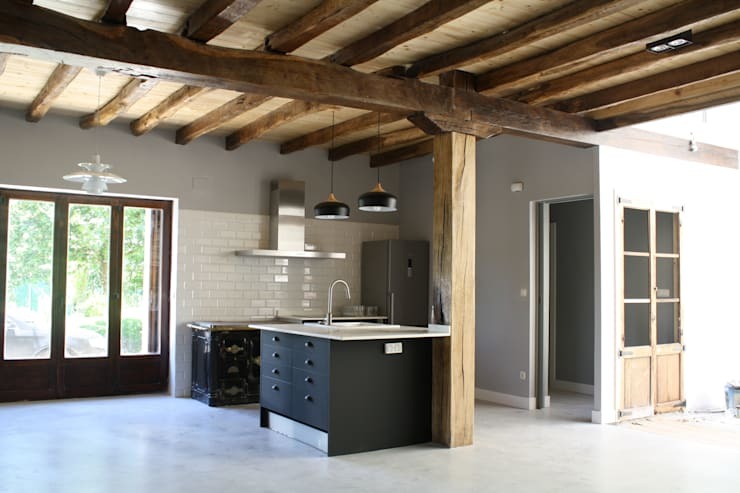 Instead, you can renew the paint of wooden beams to achieve an entirely different effect. Our next proposal also seeks the same renewed style. The truth is that the warmth provided by wooden beams is something everyone loves. Hence, we have tried to incorporate them into more current designs. In this reform, the old ceilings have been replaced by glass. 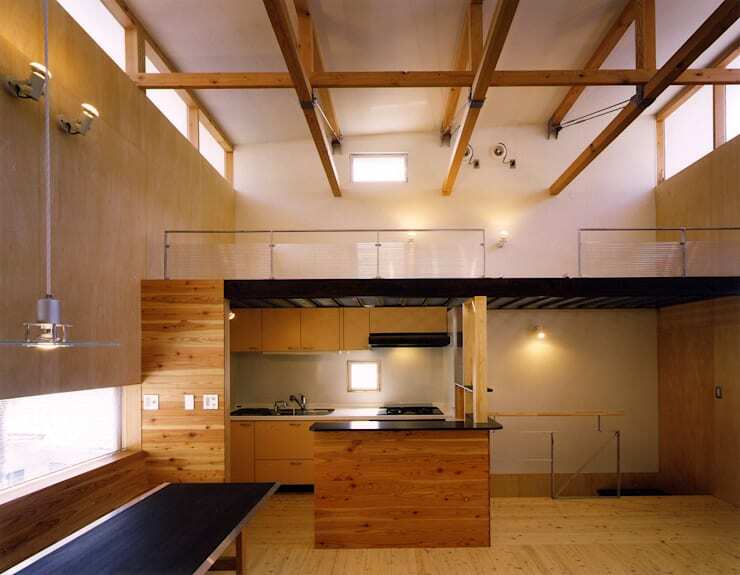 Old wooden beams have been used as a base for the structure. The result is impressive and gives a modern finish to this old farmhouse. Our next proposal manages to combine wooden beams with metal to create an industrial style decoration. The key is the combination of pure materials, so the undoubted protagonists of the scene are wood and metal. 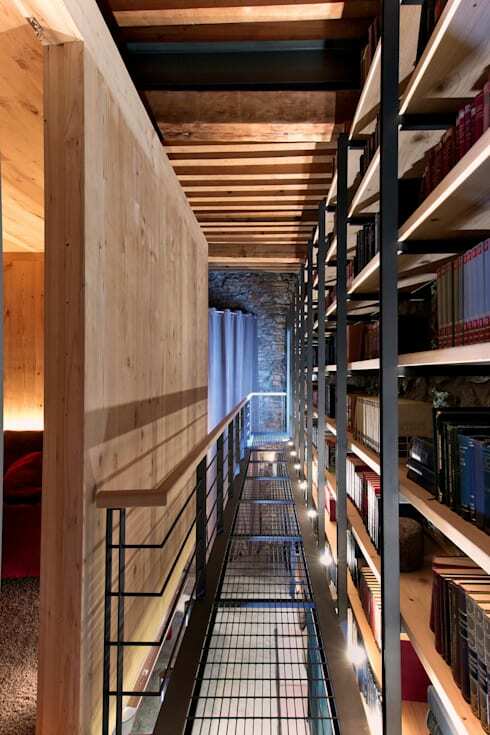 This is a risky design in which the wooden beams are entirely adapted to a very urban and current decoration. It provides a point of warmth and creates a cozy atmosphere that the metal alone cannot transmit. Our next proposal is aimed towards the most conventional design for those who enjoy the old days. 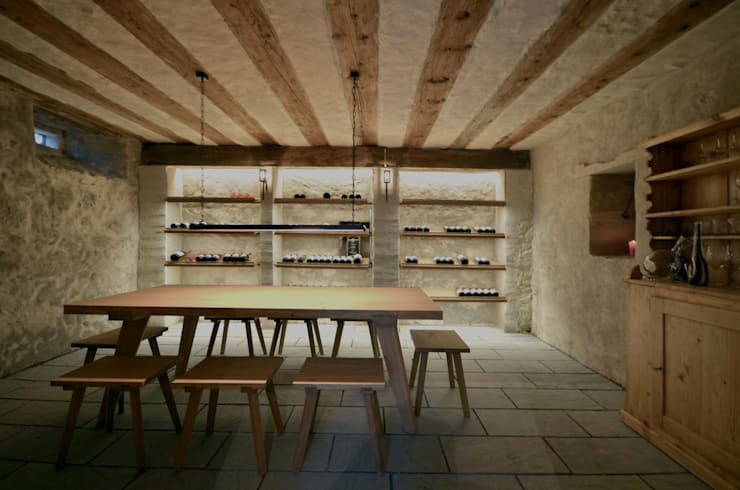 This simple cellar has used the stucco technique to cover parts of the beams. It provides a very particular texture to the ceiling and walls. That is why the whole cellar is infused with a rustic air. It is also complemented by the impressive dining table that presides over the living room. When it comes to incorporating furniture into your home, it is essential that you know how to paint wooden beams on white structure. 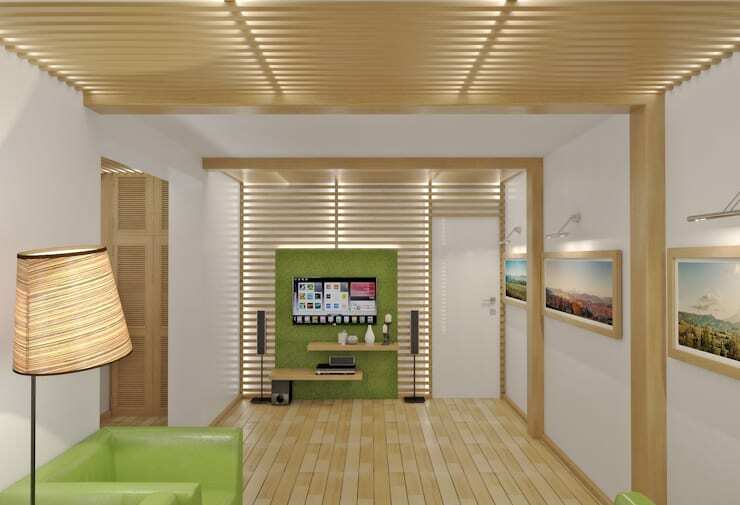 The ceiling and wall colour plays a vital role. If you're an absolute fan of wood finish and do not want to give up on them, then do not worry. The wooden ceilings are very simple to paint and will even help your beams to last for many years. You can find out about the different types of paints available for wood. Not everything needs to be a traditional design. We all know that wooden beams are gaining popularity as a decorative element. They are used not only for the roofs but also for gazebos, gardens, and porches. This beautiful design by Luiza Soares showcases the use natural wood beams to make a lovely porch. 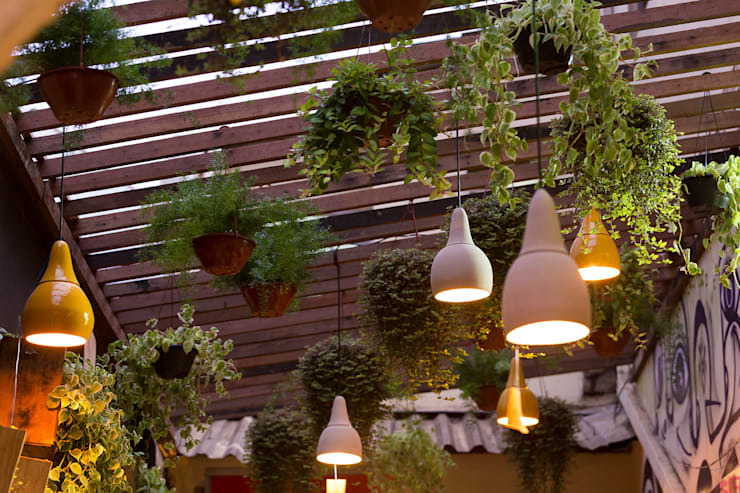 Here the lamps and hanging pots create a very cozy atmosphere which allows you to enjoy the warmth of wood even outdoors. Whoever associates wooden beams with tradition, could not be further from reality. As proof, we present this incredible wood design with Asian air. These wooden beams renew the image of this living room by incorporating small pockets of light at the crosses of the poles. The result is a very modern and youthful loft made with quality materials. It is also warm and cozy thanks to the wood paneling. This idea can also free you from your struggle of how to paint old wooden beams. These wooden flying structures continue to fulfill an architectural function. However, they provide a visual effect in the design of your houses. The designer here bets on an unconventional format of wooden beams to decorate this small apartment. The key is to create or innovate a unique design. 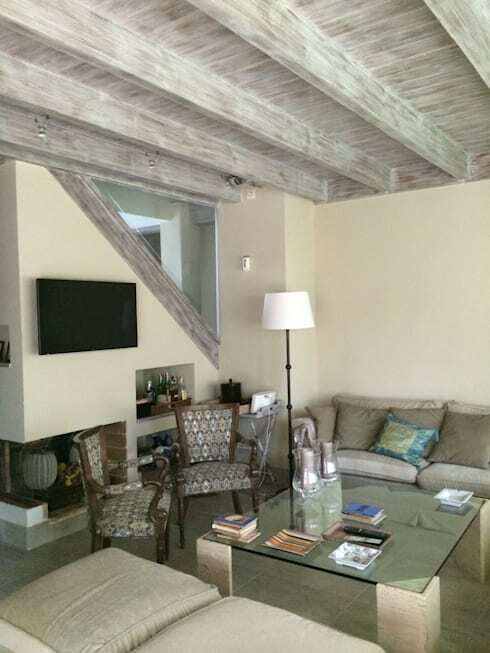 You can also bet on combinations of risky colours to make these traditional wooden beams look modern.